Contd. From part 1 of this chapter. Acharya Vinoba says, on this subject: ‘In the first Adhyaya of Bhagawad Geeta, ‘Arjuna was talking not only of ‘not fighting’, but also that he wished to take ‘sanyaas’, means go and live in a forest away from society. He was saying, “Oh Shri Krishna, it is better to take Sanyaas than to engage in the bloody battle. Vinoba then comments, ‘Here, don’t we have to note the exact nature of the crisis? 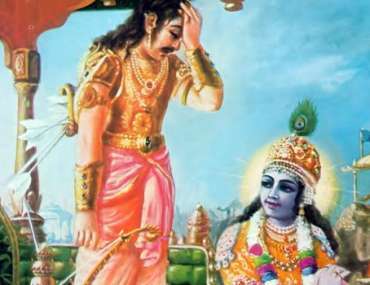 What was the true swadharma – duty of Arjuna? What was his feeling? What was his innate nature – ‘Swabhava’? He could have easily donned the saffron robe of a renunciant. But could he also have the nature of a renunciant and felt comfortable, and in it? The answer is, “Suppose he, a born fighter, would have gone to live in the forest as a renunciant, there also he would have started to kill the deer freely wandering there! Built his own palace! Because this was his nature from his birth, in a fighter family.” Hence, recognizing his own innate nature of a fighter, he should engage the actions befitting his ‘dharma’ – duty, natural to him, and also just; law abiding. 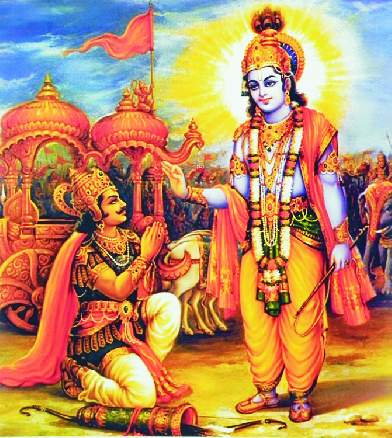 Therefore, Bhagawan Shri Krishna told him plainly, “O Arjuna, you are refusing to fight, but that is only your mistaken belief. Your own innate nature is of the threefold gunas, dominated by Rajas, will not let you rest without fighting. (18.60). You will have to fight. Then at least observe your ‘swa-dharma’, of destroying evil and protecting the good, which is your true duty, incumbent upon you, by your very nature! The basic question always, is of honest intention. For example, if we accept renunciation, of our own free will, and determination, then Sanyas – renunciation is, not at all difficult. Otherwise everything turns topsy- turvy. Suppose for example, a person, tired of the burden of tasks, obligatory in the life in a family, takes sanyaas and goes to live alone in a forest. Then what happens there? There also constructs a builds a hut for himself. Further for his protection builds a fence and a gate. As time goes on, this so called renunciant ends up building his own Sansaara – of property and its obligations! Then even if a passer-by, takes some fruit from his tree, he picks up a fight. What is all this, if not cheating one’s own self and others? Sanyaas has to be real, accepted fully by one’s mind and not shallow, only on the surface for show! Whatever Tatva gnyaan – philosophy we profess, we have to know, fully understand and accept it to be internalized. Not based on our likes and dislikes. It seems from Bhagawad Geeta that the sanyaas professed by Arjuna was fake, not real! He was confused, not knowing what his Dharma, in the event was. 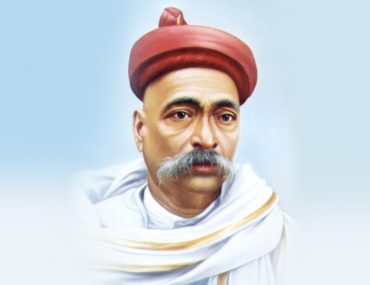 His intellect was adulterated by ‘Moha, Aasakti. It was absolutely essential to rescue him from this state by wiping out this aasakti, felt Bhgawan Shri Krishna. Bhagawad Geeta’s discourse was essentially for this purpose. Only by accepting our duties and obligations – our Swadharma, our Kartavya, and following our own swabhaava, we all too, have to achieve our development. Keeping this in mind Bhagawan Shri Krishna said, “Arjuna, instead of adopting the easy ‘dharma’ of others – ‘para dharma’, it is more beneficial to adopt our own natural ‘swa-Dharma’, even if it looks difficult. Action according to our ‘Swadharma’ is better, even if we have to spend all we have, than action according to Para-Dharma which is beyond to lead us to disaster”. There is an important reason behind this statement. Even if it may seem today, that our effort based on swadharma may result in failure, still it is possible that tomorrow, there may be progress from the same. However, acting as per another’s Dharma, there may be some apparent success now but it is destined to destruction in time. Besides, the word ‘Viguna’ – is interpreted as ‘Vigata Guna’, – without merit; however it can also be interpreted as ‘Vishesh’ Guna, i.e. special merit. It can also mean that in every living entity there is a special merit of its own. Acharya Vinoba says that my swadharma is neither smaller nor bigger. It is only befitting me. Just as my shirt is expected to be appropriate for me, my size, it supports me as well as it makes me whole, complete! This enables me like a ladder to reach Adhyatmik – spiritual heights. This Swabhav, Swadharma. Only, for all these things I need to make sincere efforts. Whether water is of greater value or milk? Answer is milk. But a fish will live only in water. If it is placed in milk, it will spell its death. Similarly, is the earth bright or the Sun? The answer is – Sun! On the contrary, staying on this earth only, we can benefit and progress in the light of the Sun. Bhagawad Geeta clearly tells us, that I should find what my real ‘Swa’ dharma is. There are three important conditions for this. My swadharma, according to my inner strengths, qualities and my nature. It should also match the responsibilities assigned to me by my society, my ‘Dayitva’. To carry out the same should be my social mission. Further, my swadharma should have been willingly accepted by me as my duty. ‘Kartavya’. Similarly it should be leading to my welfare. At the same time, it should serve the society.